We lift weights, jog, swim, participate in marathons and triathlons — all kinds of ways to exercise our bodies and keep them strong and healthy. But what do we do to keep our brains physically fit? The daily crossword puzzle? It’s not enough. So, get out there and party, or at least have lunch with some friends. A third way to work the brain is to get physical. Studies show that PHYSICAL EXERCISE speeds up how we process information. It also helps get more oxygen to the brain and stimulates growth factors. Dr. Dinnerstein recommends 30 minutes of some kind of aerobic activity, five times a week. Salmon and sardines – rich in omega-3 fatty acids, which has been linked to a lower risk of dementia, improved focus and memory. Avocados – a monounsaturated fat, which contributes to healthy blood flow, which our brains need so they’ll get plenty of oxygen. Olive oil – also a monounsaturated fat. Dark chocolate – it has powerful antioxidant properties and contains several natural stimulants that enhance focus and concentration. Water – studies have shown that if you become dehydrated, it can affect your cognitive function. Also, your brain tissue shrinks if you become dehydrated. Beets – a good source of naturally-occurring nitrates, which contribute to a healthy blood flow to the brain. Here’s to Dwight Schrute and the family beet farm! Turmeric – animal studies suggest that the active chemical in turmeric, curcumin, can enhance the birth of new brain cells. There are several ongoing studies that are looking at turmeric (it’s a spice) and its possible effect on the brain. 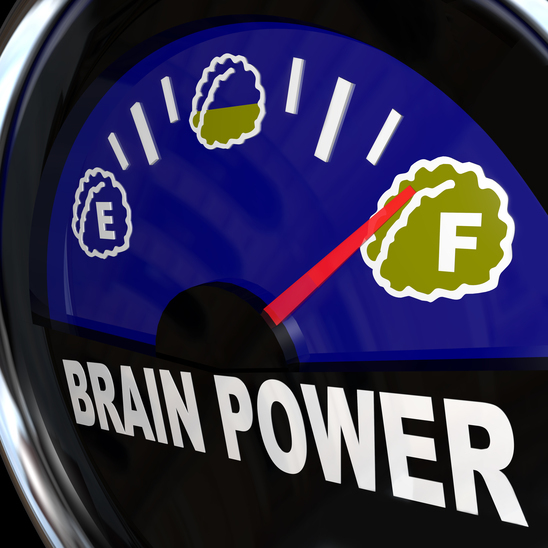 There are lots of myths and bright ideas on the subject of brain fitness. Dr. Dinnerstein says he tries his best to present patients with scientific evidence, but even then, things change and the advice we get today may not be good tomorrow. Without a brain, we would be nothing. It controls what we do and who we are, and the more we use it, the better it should work. Have you heard about the research that was done on London taxi drivers? They have very large hippocampi — that’s the part of the brain associated with spatial mapping and navigation — which apparently helped them store a detailed map of the city in their brains. Just like our bodies get tired after a workout, so do our brains — brain scans have shown that thinking uses up a lot of energy. To restore and repair our hard-worked brains, it’s important that we get a GOOD NIGHT’S SLEEP. During sleep, the brain also decides what information it took in during the day should be forgotten and what should be remembered. I hope your brain will decide all the information I shared about keeping it fit is worth remembering!